What makes a great car? Does it come from the design? The engine? How about the interior amenities? Perhaps the ability to change these around as you see fit, or the reliability that even the standard equipment on a vehicle still makes that vehicle excellent, is what makes a car great. These are hard questions to answer, but if anybody is trying to come close, it’s Chevrolet. Camaro and Corvette owners have known about Chevy’s commitment to accessories and upgrades for decades. 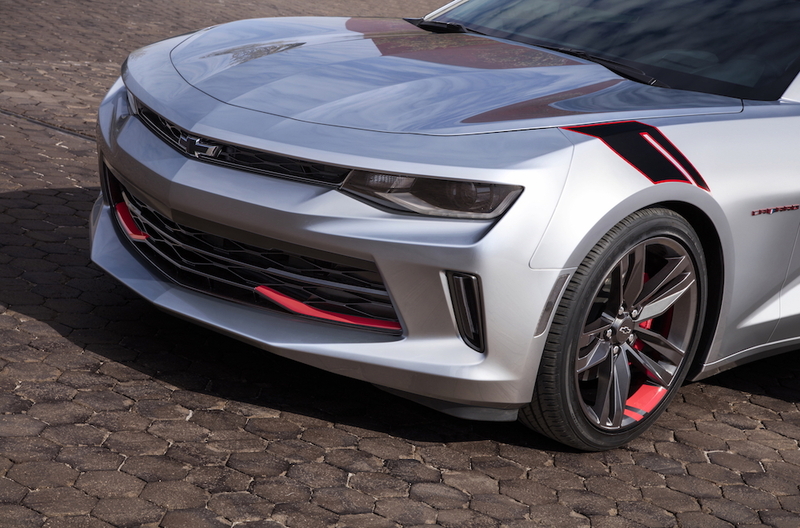 In recent years, this commitment has expanded to all of Chevy’s models, giving rise to a line of Chevy accessories with enough options and customizations to make any car lover drool. Here are some of the best, coolest, or most interesting Chevy accessories we’ve ever seen – maybe you’ve seen one too, driving off the lot of your local Chevy service center. One of the most fun parts of driving a nice car is being seen in that car – that is, turning heads from the sidewalk as you rip by in your Corvette Stingray. Fortunately, that feeling doesn’t have to end after you’ve put your Stingray in park. 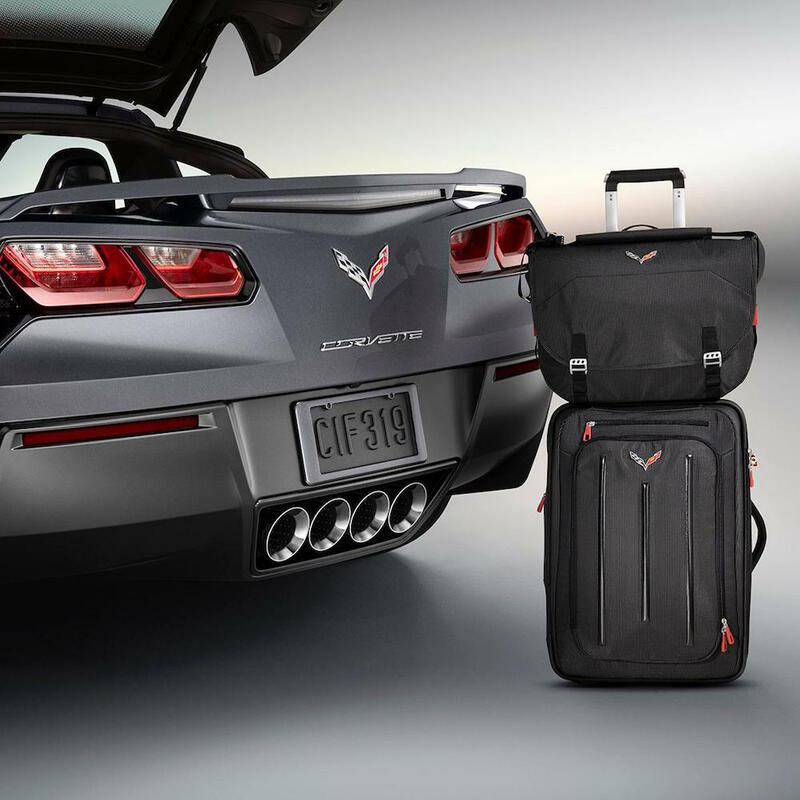 With this matching five-piece luggage set, custom-emblazoned with the Cross-Flags logo, you can make sure everybody knows you drive a Corvette Stingray, even when the car itself is in the shop. This set features two roller suitcases, a backpack, messenger bag, and a 40L duffel bag. For only $910 for the full five-piece set or as low as $112 for the messenger bag, this impressive luggage set is available only to Corvette owners. Want to transform your Chevy’s interior into what feels like a real, old-fashioned racer? 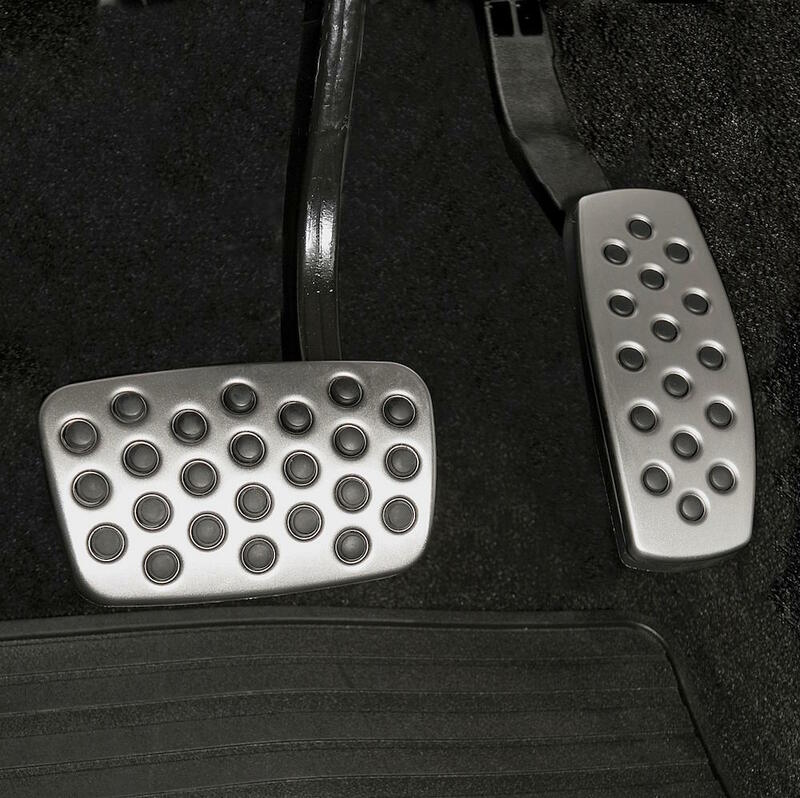 These custom pedal covers offer just that, replacing the standard pedal cover with a chrome finish and rubber traction surfaces to give your Camaro or Malibu that race-ready feel without sacrificing performance. This is available in both the two-pedal automatic transmission ($125) as well as the clutch in the three-pedal manual transmission ($150). Also offered on the 2015 Camaro is the Auxiliary Gauge Pack Assembly, which can transform your cockpit from a regular cabin into a veritable command center. Featuring four additional gauges to monitor Oil Pressure, Battery Volt, Oil Temperature, and Transmission Fluid Temperature, this pack allows the driver to take near-total control over the minute aspects of your Camaro’s performance to ensure the best driving experience no matter the circumstances – and it’s just $475. Your Silverado or Colorado has already proven itself capable of handling even the toughest trails, and with amenities like available 4G LTE Wi-Fi throughout the cabin and plenty of interior space, you’d be more than capable of simply using your truck as a mobile campsite. So why not make it one? That’s where the Truck Tent comes in, available for use in your truck’s cab or on the ground for just $270. 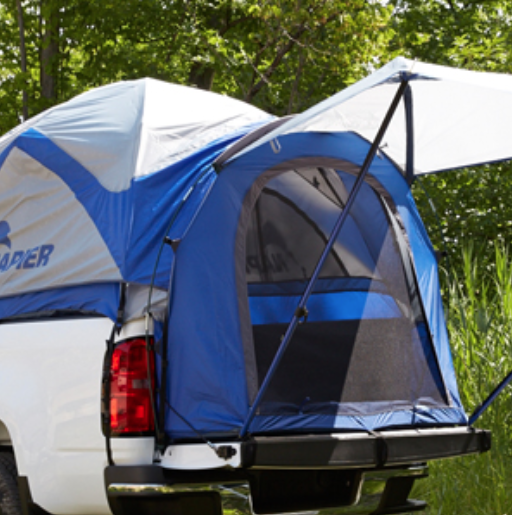 A fully functional tent on its own, this package is designed to fit in most truck cabs and provide shelter from the storm thanks to your Chevy truck. Do you like to pretend your car is a true racecar as you zip along the highway? Maybe you even make the engine noises with your mouth, and pretend for a moment that you’re waiting for a pit crew when you pull into a gas station. Well, luckily for you, Chevy is here to help make your fantasy a reality with real racer-style kneepads for the interior of your Camaro. For only $325, you can add these kneepads in a color of your choice to either complement or contrast your Camaro’s exterior color, and drive safe knowing you can push your performance in real racing style. Plenty of parents know: when you’re on a long car ride with the whole family, it’s critical to keep the backseat passengers entertained through the ride, lest things start to get difficult. That’s why Chevy has come up with the Universal Tablet Holder, available for just $95 in family-focused models like the Traverse, Malibu, and all-new 2016 Chevy Volt. This holder can securely hold a single tablet, secured to the front seatback on either the driver’s or passenger’s side. Users can choose between portrait and landscape orientation for the perfect viewing or user experience. The beauty of using a pickup as a work truck is the spacious cargo room available in the bed, but often this cannot be used to store otherwise precious cargo because it’s open, and anyone can see or reach in. 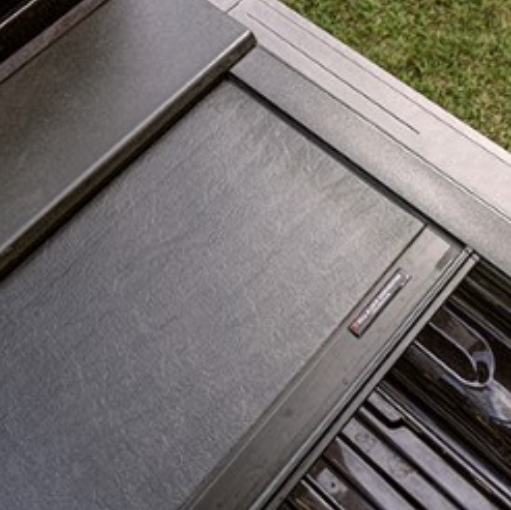 Thankfully, Chevy offers a variety of tonneau covers for your truck’s bed to keep your cargo secure, and not the least among these is the retractable roll-up tonneau cover. Offering supreme convenience for the workman or truck driver on the go for just $1,299, this handy cover extends over the bed from a box located near the cabin. When not in use, the cover rolls up tightly for storage or for handy transportation to the next job site. Want to step into the future? If you’ve got one of the all-new 2016 Chevy Volts in your driveway, then you’re probably already halfway there. 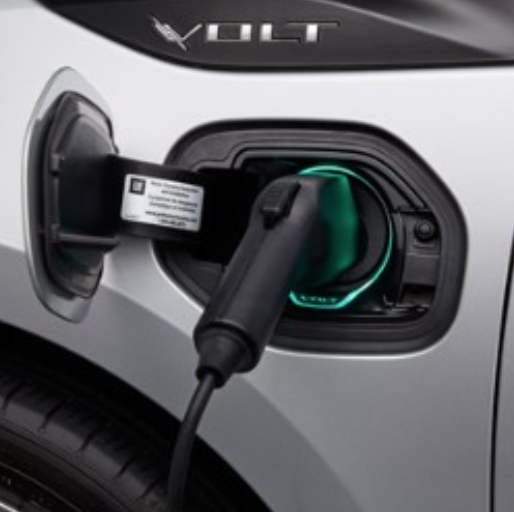 But as a special option on the Volt, Chevy allows drivers to feel the glow of electric power with an illuminated charge port, which lights a green glow around the perimeter of the port when your Volt is plugged in. Not only a neat design upgrade, this little light can actually be quite handy when searching for the plug in a dark garage – and adds only $175 to the cost of your Volt. Want to impress your mechanic? Simply bringing him or her a Corvette not doing it? 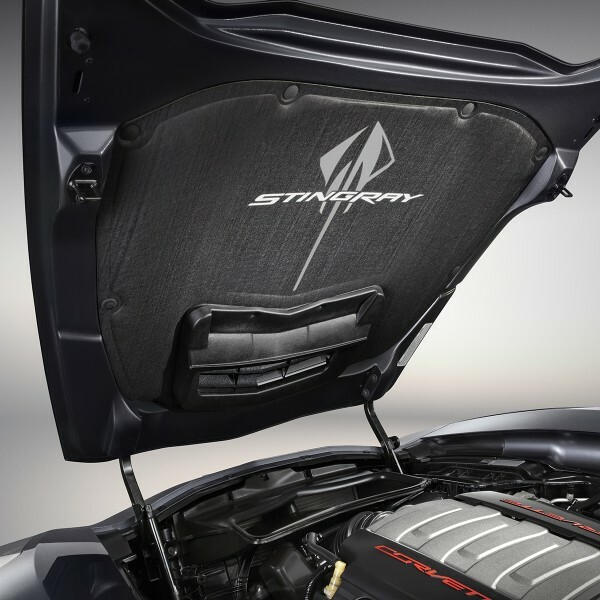 Go for the element of surprise – look into one of the intense underhood liners available from Chevy for your Corvette Stingray. With designs ranging from the classic Corvette Cross Flag logo to the Stingray insignia, this liner adds a deft touch of class to an otherwise already amazing vehicle. And, at only $255 extra, it’s a bit of a steal for such a bold statement of attitude. These are some of the coolest Chevy accessories, and definitely the ones we’ll be checking out next time we’re at a Chevy service center. If you’re a proud Chevy owner, it’s worth taking a look at what’s available to you – the perfect mod might just be out there waiting right now.